The Syracuse Spartans are part of the New York Collegiate Baseball League (NYCBL). Summer collegiate leagues throughout the United States give college baseball players the opportunity to continue playing during the summer and show their skills to professional Baseball Scouts who visit summer collegiate league games regularly. The NYCBL Spartans are college baseball players recruited from colleges and universities around our nation. Their ambitions are to play in Minor and Major League professional baseball leagues in the future. Many college baseball players are recruited to professional leagues during the summer collegiate baseball season. Our players’ academic pursuits vary from business management, finance, mathematics, social studies, psychology, sports physical therapy, law, law enforcement, accounting, information sciences to computer system’s management. All players have been vetted and those who are staying with Host Families are aware that they will be required to sign an agreement with the organization and the Host Family that states they are to abide by any and all house rules that are established. 1. FREE HOME GAME SEASON PASSES FOR YOU AND YOUR FAMILY. 2. Your Spartan player will have the option to be the "Bat Boy" for at least one NYCBL game! 3. Summer collegiate baseball players do not have the financing that professional baseball players have to stay in hotels. It is difficult to work during the summer when a player is committed to a summer collegiate baseball league program schedule, especially in an area that is not their hometown. All NYCBL teams play up to 6 games a week with one day off, which is often used for rain date, makeup games. 3. A number of NYCBL Spartans will have the opportunity to be professionally recruited. It’s fun to watch the progress and growth of potential Minor league players you hosted in your home and grew to know and admire. 4. Your children and/or grandchildren will enjoy the camaraderie with players. Your player may become like a member of your family. 5. You will make new friends with other baseball enthusiasts, other Host Family members and see some friends at the games as well. You will be an important extension of the NYCBL Spartans Team. 6. You will have the opportunity to make a positive impact on a young person who is just starting out in life. 7. Many players who have been a Host Family member, continue to keep in touch for years. I am proof of that! When away from your home, players pay for their own food or the team provides food for meals. When home, players will eat what is available to them. We ask families to include the needs of your players when weekly grocery shopping. On a typical game day, the player will likely eat breakfast in your home, and maybe grab a quick snack or sandwich for lunch. Much of their time will be spent working out, working baseball camps and playing on the field. Meals will be provided to them after home games and on the bus after away games. If you will be out of town, for any reason, for a weekend during June and July, our Host Family Coordinators will work to relocate your player while you are away. 1. Players arrive in Syracuse the last weekend in May. 2. There first official game is at the beginning of June. The season ends the last week in July. If the Spartans are in the Playoffs, the season could go into the 1st week of August. August 5th is the absolute latest date. 3. Sometimes up to 6 games per week are played with 1 day off. There are 21 home and 21 away games. You are not required to attend all games, however, the players look forward to their Host Families cheering them on. We look forward to expanding the Spartan Family! 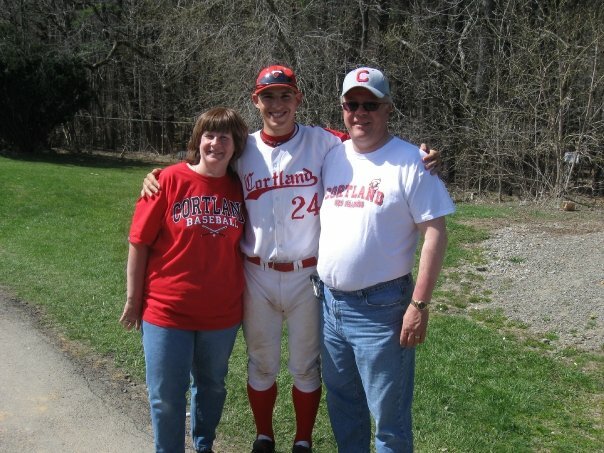 The Spartan Host Family Program is one of the most important aspects of the NYCBL Spartans Organization. It is, in fact, the foundation of our program. Good guest-host relationships are a top priority in our year-to-year operation. If our goals are met, lifelong relationships will be established which would create lasting memories for the player and the Host Family.